You Go Girl: Start. Build. Sell. by Sharon A. Davison inspires confidence and courage. Davison proves that it is possible to achieve goals and dreams through believing that you deserve it and you can do it. Unlike many other books on entrepreneurship, Davison does not present a one size fits all path to success. Instead, she shares valuable lessons that she has learned along the way. Davison shares her insight on topics such as leadership, management, teamwork, handling finances, and creativity among other relevant topics. Included also are real-life stories that expound on the content. They also add an interesting flavor to the book. The themes included in You Go Girl are applicable to different business environments and sectors. Even though Davison shares many experiences from the technology industry, the advice can be applied by all potential and already thriving entrepreneurs. Being a non-fiction book, the use of a warm tone and a conversational narration style by the author makes the book even more interesting. Details are kept to a minimum and the language used is accessible to all types of readers. I appreciated the specific examples included that helped me become even more engaged with the author’s words. The characters portray different points of view and the lessons they convey are eye-opening. 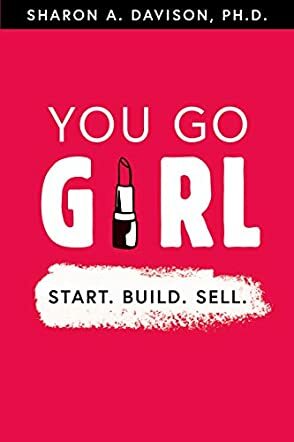 You Go Girl will be invaluable to entrepreneurs who want to grow their businesses, especially women who may be hesitant to take a leap of faith and enter the uncertain world of business.